Online Job Site developed using ASP and Microsoft Access Driver 2003. In this site jobseeker searches jobs, and recruiter recruits for candidates. Front End is ASP (Active Server Pages) and Back end is Microsoft Access Driver(MDB). 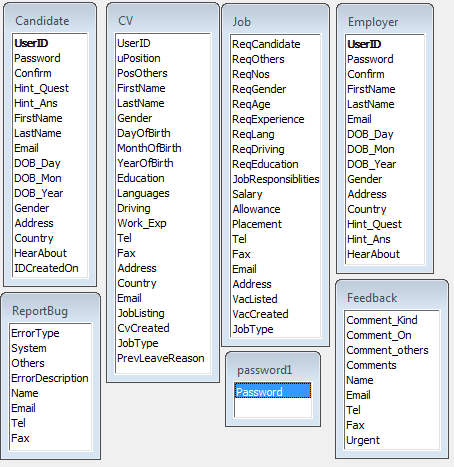 It has 7 tables that is candidate, CV, Job, Employer, ReportBug, password, Feedback. ASP stands for Active Server Pages. ASP program runs in IIS(Internet Information Services). The extension of ASP file is (.asp).